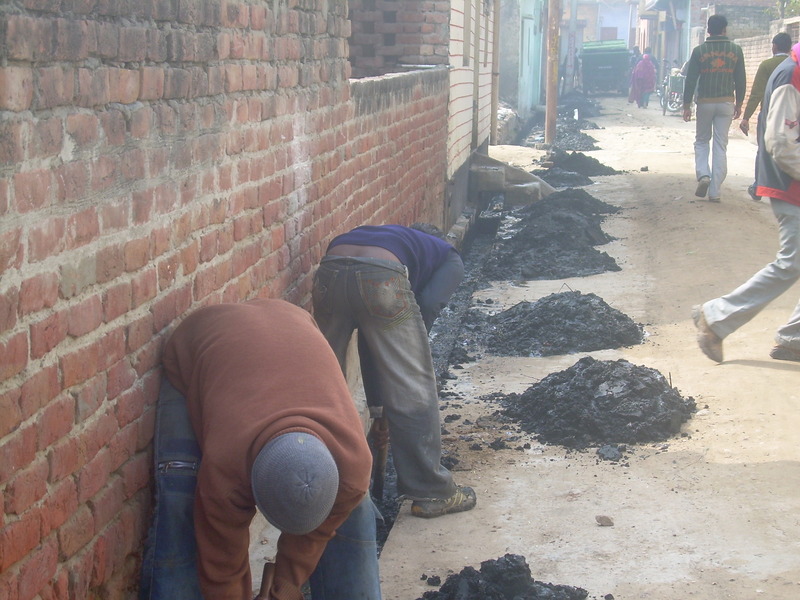 The neighbourhood of the widow home of the ‘Swadhar Yojna’ run under a scheme of the Ministry of Human Resource Development of the Central government was cleaned under the Vrindavan Cleaning Fund programme of Friends of Vrindavan. This widow home falls in the Rajpura Village in Vrindavan, where no municipal sanitation services are available. FoV was requested by the management of this widow ashram and some of the residents of the locality to organise a drive. Shri Rajveer Singh, manager of the ashram said it was necessary to get this area cleaned as the women living in this ashram started suffering from the air-borne diseases. He appreciated the VCF efforts by saying that FoV brings relief to the residents of those areas where municipal services can’t be acceded. He recalled that this area was cleaned thoroughly by Friends of Vrindavan, six months back. Neither the Rajpura Gram Panchayat nor the Vrindavan Municipality sent their cleaning force to clean in this locality since then.